The monthly silver chart does not reflect what could be viewed as ending action for the decline. If/as price rallies, it may be more of a futures selling opportunity than a sign of recovery. As the structure stands, odds favor lower price attempts. So writes Michael Noonan (http://edgetraderplus.com) in edited excerpt from his original article* entitled Gold And Silver – Are You A Lion Or A Gazelle? You Had Better Know!. April’s wide range with a close in the middle may contain price behavior within it for the next several months. If the range does not capture price for a while, any break is likely to be lower. The down channel is often a good barometer for how price may react at each line. Price held the lower channel, even with the onslaught on naked short selling of unprecedented amounts of gold that was impossible to deliver, which was not the intent, anyway. You can see how price rallies, since October 2012, became weaker and weaker, unable to approach the upper channel line. Use that as a measure to see how subsequent attempts to rally compare. Keep in mind, weak rallies lead to lower prices. Last week’s small range was not a sign of strength. Be wary of any rally ability to sustain itself. We could see a reaction rally in the weeks ahead. If the ranges are small and volume declines, signs of a lack of demand, it can be a short-term selling opportunity in futures. The chart comment speaks for itself. Depending on how price rallies back to the 26 area, it may be a clearer sign for shorting activity over the near term. 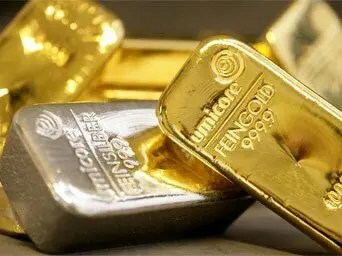 The potential for shorting the market is for futures only and unrelated to one’s plan for buying physical gold/silver. The preamble to the above excerpt has been edited and is presented here. Previous How Will Sub-$10/barrel Brent-WTI Spread Affect the Crude-by-Rail Boom? Next Does Behavior of “We the People” Suggest Central Bankers Have Gone Too Far? Plus, the ability to have physical control over their PM holdings is important since that removes several layers of Trust in the “System,” which is required when using paper holdings in both PM’s and or currency.